Merchant Cash Advance can it help fund your business? Merchant Cash Advance can it help my business? Competitive marketplaces are common amongst most modern day industries, leaving small business funding options restricted financially. Merchant cash advances can help your business in many ways, giving you access to funds to achieve your business potential and growth. The unsecured alternative funding solution does not require any personal guarantees so your home is safe should anything go drastically wrong. Merchant Cash Advance is a popular and a straightforward form of alternative business finance. PDQ Funding support established businesses which have traded for six months or more with funding ranging from £3,000 to £200,000. Business Studies show that there are over half a million UK SME’s businesses moving away from a traditional bank loan product to alternative funding options. It isn’t difficult to understand why, when you consider the success stories merchant cash advances have had over business loans. A merchant cash advance can it help a businesses with the money they need to start new initiatives right away. With fast access to capital, you can fund timely projects that will move your business forward. Advantage of a merchant cash advance is the simplicity of its repayment structure. The lender takes only a percentage of your credit card revenue for each regular payment. That means the daily amount you pay reflects your business performance. Meaning our repayments are affordable and relevant to your business income at any given time. Other loans can help you borrow over a longer period – if, for example, you need to pay for one-off business expenses, or to fund expansion plans. Advances process faster than bank loans, which usually will be in your account in 48 hours. Your business may not have enough credit for a bank loan. Even so, getting an advance should be no problem with PDQ Funding. Our vast portfolio of lenders means you will get the best merchant cash advance product for your business, meeting your requirements and needs. The Funding option that mirrors your business growth! Cash flow is provided by means of future card sales this gives the business the opportunity for growth. It can help you boost the competitive edge by moving initiatives forward, help with funding wages bill, purchasing new stock or simply paying that dreaded tax bill. Repayments for the cash advance reflects the business trading position, in quiet months the repayment of the advance is less. Should the business experience a good trading month more is repaid to help drive down the outstanding amount. You can maintain a healthy gross margin even while paying the lender. That’s because you pay less when you sell less. You pay more only when you sell more so seasonally this helps. A Merchant Loan Advance can it help with cashflow, and help to tide you over when times are tough by offering access to short-term finance of up to 24 months, these are great funding solutions for business that do a lot of season work. Other loans can help you borrow over a longer period for example : you need to pay for one-off business expenses, or to fund expansion plans. Keeping your margin in check will help you support other initiatives. You can continue paying overhead and related costs of doing business how you with growth. You will repay the advance in the short term, usually within 12 – 24 months depends on how you feel the cash flow will go within your business. 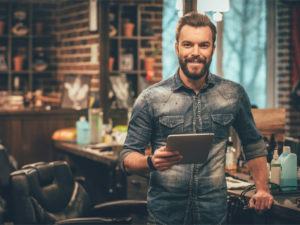 Business loan lenders Manchester will typically use your business credit score to feed into their credit decision-making process when making lending decisions, with a merchant cash advance this is not the case, they take your card payment receipts over the last six months and workout from those what can be advanced. There are no personal guarantee required with a merchant cash advance. This is due to the lender being about to sure their payments with future credit and debit card payments. If you feel a Merchant Cash Advance can it help your business, please complete the online inquiry form.